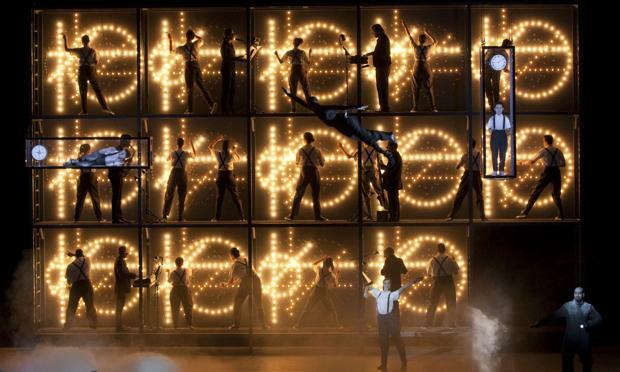 The Robert Wilson/Philip Glass collaboration Einstein on the Beach, An Opera in Four Acts is widely recognized as one of the greatest artistic achievements of the 20th century. As the production returns to BAM this fall as part of the institution’s 150th anniversary, Q2 Music is pleased to present An Hour with Einstein, an intimate live concert at The Greene Space featuring highlights from the music and text of Einstein on the Beach, including the Knee Plays, along with a conversation between composer Philip Glass, company members, and WQXR host Terrance McKnight. Performers include violinist Jennifer Koh; featured performers Helga Davis, Kate Moran, and Charles Williams; sopranos Lisa Bielawa, Lindsay Kesselman and Melanie Russell; mezzo-sopranos Hai-Ting Chinn, Kate Maroney and Solange Merdinian; tenors Philip Anderson, Tomás Cruz and John Kawa; baritone Gregory R. Purnhagen; basses Joe Damon Chappel and Jason Charles Walker; and music director Michael Riesman.